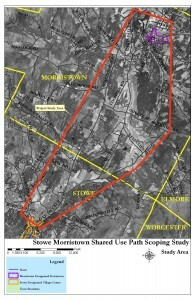 A Stowe to Morristown Shared-Use Path Study has been commissioned by the Lamoille County Planning Commission (LCPC). The first in a series of public informational meeting was held earlier this month to unveil the information that has been collected to date and to share the goals for this project. Input from members of the public was also encouraged. 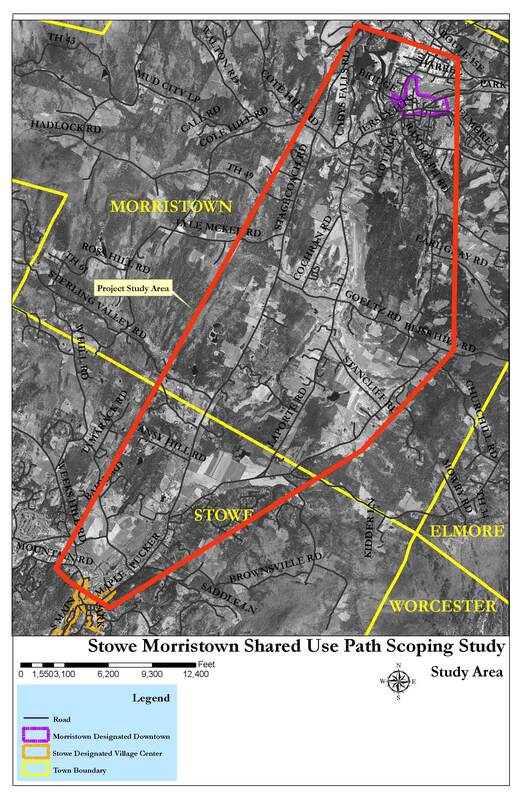 The goal of the study is to evaluate the feasibility of constructing a shared-use path to connect pedestrian and cycling routes in the towns of Morristown and Stowe which would run between the two villages. 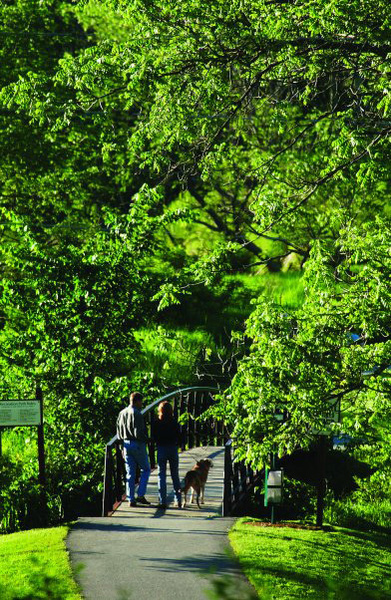 The study will also look for ways to connect the potential path to other existing shared-use paths in the area such as the Stowe Rec Path and the Lamoille Valley Rail Trail. Most of the information gathered to date revolved around the three most direct public rights of way between the two villages which are Route 100, Stagecoach Road and Randolph Road. These three routes would represent the easiest path to take from the standpoint of public rights of way that already exist. If one of these routes were chosen then a path next to the shoulder of the road would be built. There was excellent input and opinions given by those in attendance including the opinion that while a path that parallels a roadway might be easier and less expensive to build, a path away from roads and traffic might have a much greater appeal and serve a much larger number of people. In the non-winter months it would serve cyclists and walkers while in the winter months it would be conducive to skiing and snowshoeing. 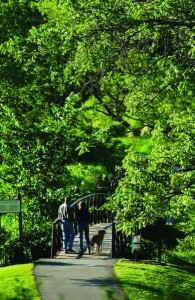 Being away from the highway it would also be safer and aesthetically more pleasing. According to the experts, the only way a community amenity of this size and magnitude ever becomes a reality is through active, consis tent involvement from the community at large. This would certainly be one well worth having that would benefit not only private citizens from a health and enjoyment standpoint but would benefit local businesses as well.